Time Lords, Air Nomads, superheroes, and more are all heading toward Blu-ray. Killer dolls, wimpy kids, and psychos are all heading to Blu-ray. Villains Grodd and Atrocitus get their debut. One of last year's best for super cheap. Crossfire and SLI development stopped. Includes 'Batman v Superman' skins. Light at the end of the tunnel, folks. 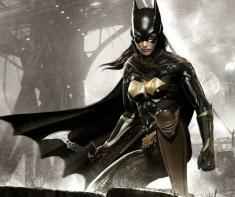 Tons of Bat DLC news announced. First look at iconic Batmobile in action. Deeper look at customization and missions live! September at the earliest, according to memo. It might be time to upgrade the ol' graphics card. 7 minutes of footage shown off. There's even a little bit of new gameplay at the end.